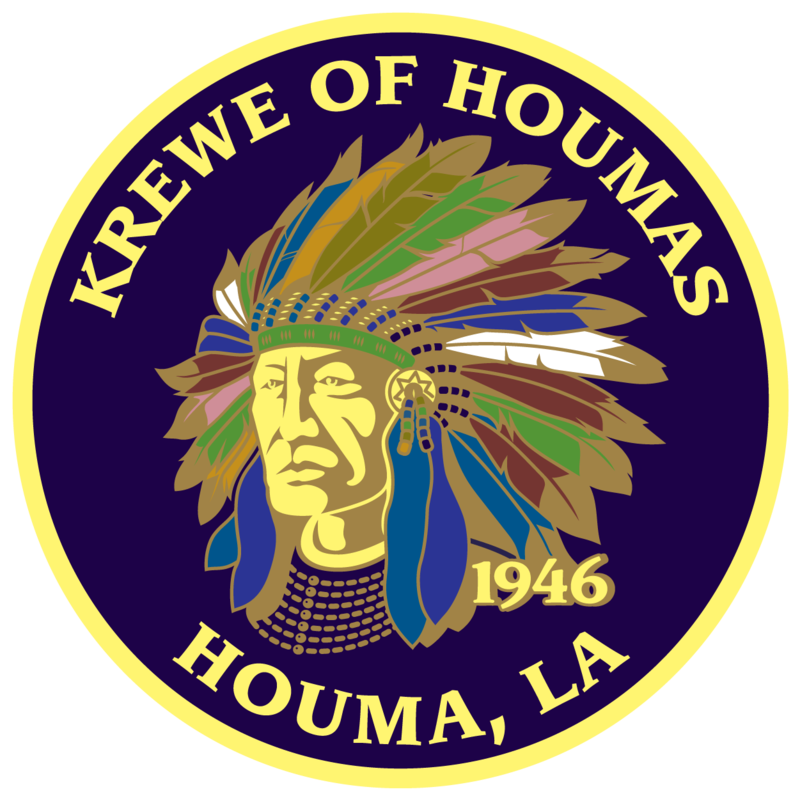 Any person who is viewing the Krewe of Houmas at any point on or near the parade route assumes all risk and danger incidental to Mardi Gras parades and festivities, including specifically, but not limited to, the risk of being struck by any missile whatsoever that has been traditionally thrown, tossed, or hurled by the members of the Krewe in the parade. These include, but are not limited to, beads, cups, doubloons, foam footballs, stuffed animals, trinkets, and other throws, with the liability of this Krewe and the members thereof in connection with any such loss or damage being limited by and in accordance with Louisiana Law. Please stand behind all barricades. These barricades have been placed along the parade route for the spectator’s protection. Do not run alongside float for throws. It could be easy to push or fall in front of, or under, the float. A float can present life-threatening danger to someone that does not respect such a large, moving object. Respect the directions of the band and marching unit chaperones. These are large units trying to play for the benefit of the crowds, so please make room for them to perform. Respect the wishes of the police. They are only trying to ensure the safety and enjoyment of all Mardi Gras spectators. Mardi Gras is a fun time that everyone is trying to enjoy. Please make sure that your conduct and actions do not create a disturbance that everyone will regret later.